Hummingbird-pollinated plant with atypical attractive characteristics, Costa Rica. Hummingbirds are typically attracted to red or orange tubular flowers. This Columnea shrub in the African violet family has very nondescript yellow flowers that are almost hidden, yet it is also hummingbird pollinated. It turns out that the paired white blotches on the upper surface of each leaf are actually translucent windows. When viewed from beneath they almost glow red, which attracts hummingbirds that then find the flowers. 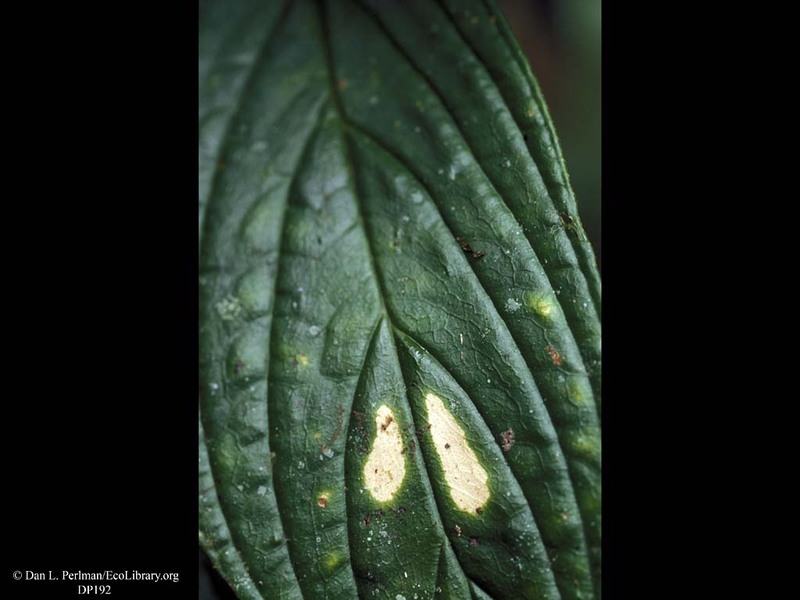 This image is a closeup of the paired white blotches on the upper surface of a leaf.